Sub-Saharan Africa has the fastest growing mobile market in the world, according to the annual GSMA Mobile Economy Report (2017). Here’s what you need to know. Mobile is the fastest growing platform in South Africa and, as a result, businesses should be placing a strong focus on mobile in their marketing strategies. Mobile marketing has the power to reach even the lower LSM (living standards measure) groups, making it an absolute necessity to every brand’s marketing strategy. The GSM Association (GSMA) is an organisation which represents the interests of nearly 800 mobile operators (including internet service providers, software developers and device manufacturers) worldwide. They recently released their annual Mobile Economy Report for 2017, which found that Sub-Saharan Africa has the fastest growing mobile market in the world (approximately 50% higher than the global average). What we can glean from this report is that South Africa is not as far behind the rest of the world in mobile adoption as one may think. There is a huge demand for digital content. Read our article, The future of media: technology, storytelling and culture, for tips on how your brand can use programmatic media to start telling powerful stories. In fact, according to the GMSA, mobile is actually the “preferred platform for creating, distributing and consuming digital content and services, including those that help address various social challenges in the region. Mobile has a huge role to play in “delivering greater inclusion”, with initiatives like mobile banking, giving the lower LSMs easy “access to more complex financial products”. 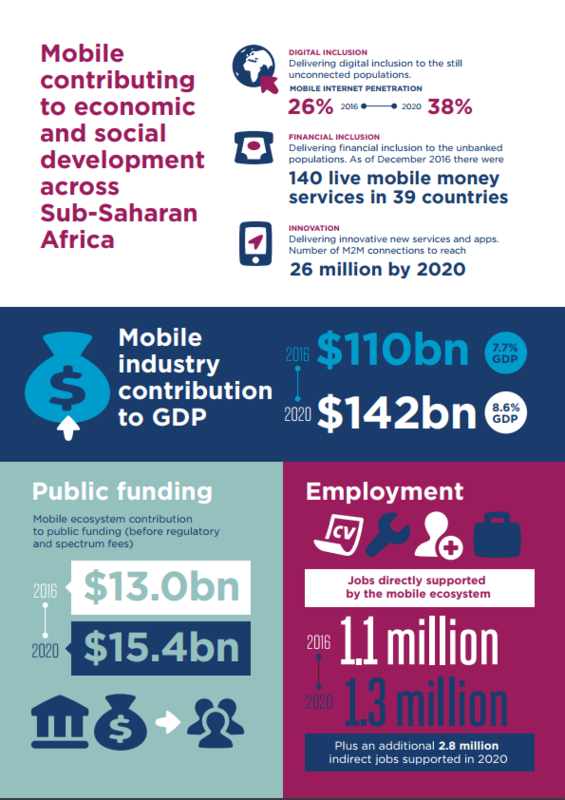 Mobile is also a key player in “achieving the UN Sustainable Development Goals”, which aim to alleviate poverty, injustice and inequality by 2030. One of the driving factors behind this rapid movement toward mobile technology, is the increasing affordability of smartphones. Whilst not every South African is able to afford the latest iPhone, many Asian manufacturers (such as Gionee and Tecno) have introduced ranges which cater specifically to the lower LSM market. Second hand smartphones are also a popular choice, and there is a surprisingly large “recycled smartphone market”. In light of this, it’s important to keep in mind that Android is the most popular operating system (OS) in South Africa (so always test your digital content on an Android device). “More people across Sub-Saharan Africa are consuming digital content, particularly online video, via mobile devices”. During 2016, video/audio streaming accounted for 18.6% of internet traffic - a full 10% increase from 2015. 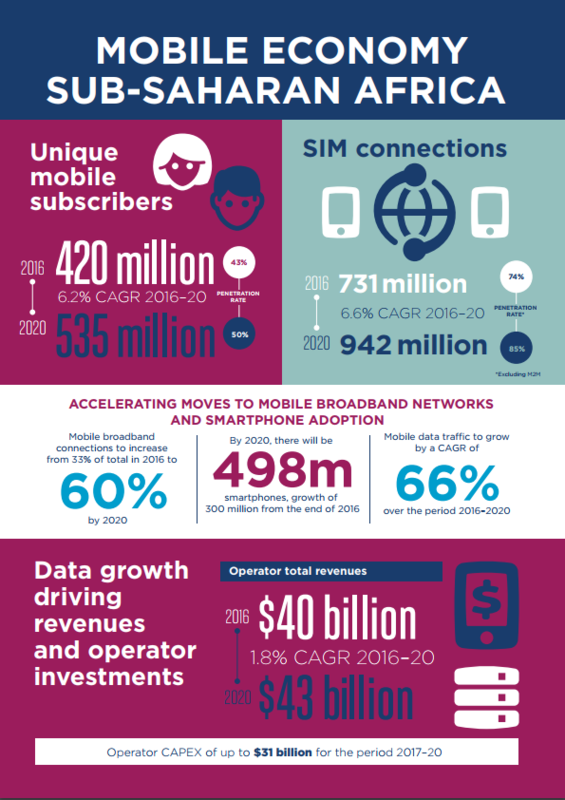 Despite the high cost of mobile data, the Ericsson Mobility report predicts we’ll see mobile data usage increase twelvefold within the next five years. Forget being mobile friendly - we need to start designing for mobile first. There is a definite trend away from desktop, meaning that digital content needs to be designed for and tested on mobile devices. Optimising for mobile is an absolute imperative if your brand plans to remain relevant in the near future. The rise of technologies like programmatic media are making it easier for brands to leverage mobile to their advantage. You’re now able to hyper-target your messaging - reaching the right audience, at the right time, in the right place and context. Integrating all of your brand’s communications is more important than ever. Whilst digital marketing is a crucial element in your marketing mix, a combination of traditional media (e.g. radio, print, television and brand activations) in conjunction with your digital strategy will amplify your message like never before. We’re living in exciting times. Businesses now have the unique opportunity to identify (with solid data) exactly who their audience is, and create personalised messages that speak directly to individuals - helping them solve their pain points. The rise of things like mobile technology allow businesses to build authentic relationships with their customers, and play a bigger role in the betterment of society as a whole. Don’t let your brand get left behind! Stay up to date with all of the latest trends in integrated marketing by subscribing to the Penquin blog.